The Jennifer Wilde point & click adventure game, based on the comic book series I wrote which was published by Atomic Diner Comics, is now up on Kickstarter. I’m also the scriptwriter for this, back with my old buddy Stephen Downey, who is CEO of Outsider Games, and the original artist for the series. The art for the game is being marvellously handled by John McFarlane, and Rodney McConnell is the man wrangling the code. And of course all thanks to Robert Curley, who was the original creator of the concept. 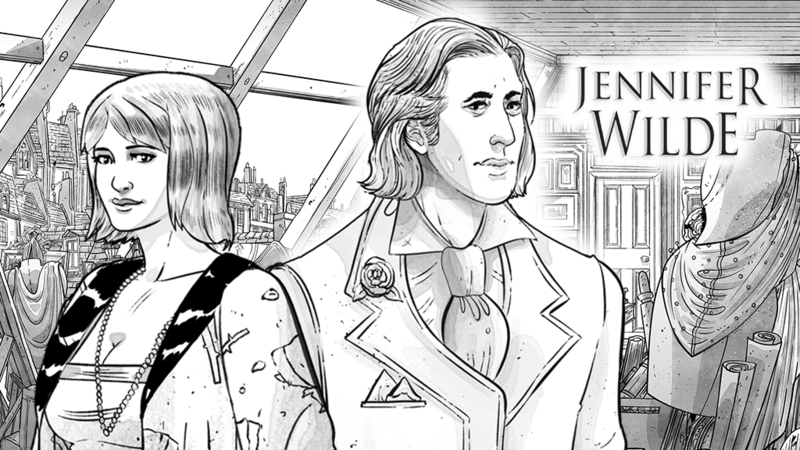 If you like the idea of a young art student solving a puzzle with the ghost of Oscar Wilde in 1920s Jazz-era Paris, then we’d love your support. There’s tons of information (and a video!) about the game on the Kickstarter web site.